VW has announced its Chattanooga, TN facility as the future site of production for EV models. This will include an additional investment of $800 million dollars in the facility and an additional 1,000 jobs. The first model, the ID Crozz debuting in 2020 will ride atop a modular and flexible platform to underpin the bulk of VW’s BEV models. 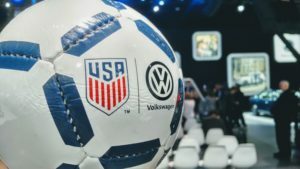 In a surprise announcement VW has announced a multi-year deal to act as presenting sponsor of Team USA soccer including Women’s, Mens, youth, and development leagues.